EDITOR'S NOTE: This is the first in a series of stories and opinion pieces previewing the upcoming Aspen Security Forum. Security Clearance is a media sponsor of the event which is taking place from July 17-20 in Aspen, Colorado. Follow the event on Twitter under @aspeninstitute and @natlsecuritycnn #AspenSecurity. Edward Snowden's fate and the possible damage he has done to U.S. relations with close allies still commands attention of the Obama administration. The situation shows the degree to which "the United States and Europe define privacy in different ways," former State Department spokesman P.J. Crowley told CNN’s Security Clearance. That tension was apparent following revelations from Snowden, the admitted leaker of national security documents, that the United States had been using electronic intercepts to monitor various European government offices. While the threat of international terrorism has decreased over the past decade because of "significant" cooperation between the United States and Europe, Crowley said he is "confident" the situation will eventually "work its way through the political situation on both sides of the Atlantic." Crowley says he expects Gen. Keith Alexander, head of the National Security Agency, to "have his hands full" with questions when he takes the stage at Aspen to discuss cyber issues. The Snowden revelations also highlight the role of the press in matters of national security, and Crowley is ready to analyze the issue as a panelist on a discussion about counterterrorism and the media at the forum. Crowley said he is looking forward to a robust discussion about the role of government leaks to the press and First Amendment implications raised by them. He points to the case of a Fox News reporter – later identified as James Rosen – who was initially declared by the Justice Department in a court affidavit as a possible co-conspirator in the case of documents allegedly leaked to him by a State Department contractor for a story on North Korea. "To me, words matter and I wish the government had found another phrase," regardless if the government said it had no intention of focusing the legal system on journalists Crowley said. "When you start throwing around terminology like that, it obviously raises concerns about First Amendment issues and rightfully so," he said. And then there is the issue of both Russia and China, and the assertive role they play on the international stage, that figure to be raised on some of the panels at the forum. For Crowley, the so-called reset of relations between the United States and Russia that began in 2009, was a mechanism by which the two countries would identify areas of cooperation, and manage areas of disagreement. But despite the broad disagreement that exists over the approach to Syria, human rights, and other areas of mutual concern, Crowley says there are other reasons for the periodic frustrations felt by both sides. "I think the so-called reset has been complicated simply by political changes in Russia," Crowley said. "The reset worked pretty well under (former president) Dimitry Medvedev. Obviously, he set a different tone internationally, but now that Vladimir Putin is back at the helm, he defines Russian power in different ways. You don't want to over-state or under-state the importance of the relationship." On China, Christopher Hill, a former ambassador to Iraq, South Korea, and envoy to multi-lateral talks with North Korea, is scheduled to speak on the Obama administration's so-called “'pivot” to the Asia-Pacific region. He is now the dean of the Josef Korbel School of International Studies at the University of Denver. For Hill, it is the three "unintended consequences" from the “pivot” strategy – impressions that the United States is withdrawing interest in the Middle East, that the United States does not care about Europe any longer, and a push to contain China's rise – that deserve the most attention in analyzing the policy. "I think this whole idea of a pivot has proven to be far more complex than maybe the president meant when he first launched it at the APEC meeting in November 2011," he said. But with the issue of cyber and commercial espionage at the top of the U.S.-China agenda, Hill says Beijing's recent severing of ties with a key North Korean bank, along with inviting the new president of South Korea before extending the courtesy to the new North Korean leader, show continued engagement may yield good results for Washington. "I think there are signs that maybe China is serious about this effort to reposition itself with respect to North Korea," Hill said. "That argues for some really intense diplomacy with China." Both panelists tell Security Clearance there are other areas of discussion they look forward to engaging in Aspen. "I would very much like to understand where the U.S. is going in its Syria policy," Hill said. "We have on our hands in Syria many things including a sectarian knife fight, and I would like to know better what the U.S. is trying to do about it beside provide weapons." For Crowley, the future of the administration's counter-terrorism policy is ripe for discussion. "I think we have to do a better job of understanding the impact that drone operations have around the world, and find ways to address it," he said. "The drone program in Pakistan is not a secret to anyone and yet because we treat it as a secret war, if you will, we prevent ourselves from being able to explain to the Pakistani public why what we are doing is good for us and good for them." CNN you love posting posts on this guy I hope he finds a bullet . I agree with his one statement "I think we have to do a better job of understanding the impact that drone operations have around the world, and find ways to address it," I know it's getting the job done but we must be making so many more enemies. The racists are rioting in Los Angleles tonight. Amazing! There are now TWO articles on CNN relating the NSA leaks that are not just more stupid garbage about Snowden himself but about issues that actually do matter. And it only took how many weeks? I'm still waiting for some stories on how far the abuse of power went in the NSA. Are we going to see them or not CNN? All these ignorant anti-Snowden rants here are getting old and fast! If Edward Snowden is brought back to this country, he can never hope to get a fair trial, only the appearance of one just as in the case of Julius and Ethel Rosenburg in 1951. The Rosenburgs were finally executed in June, 1953 in spite of their innocence all because of all this stupid right-wing lynch mob mentality. This is the kind of ignorance that will do this country in, sooner or later! Edward Snowden is responsible for the consequences of his actions and should be held accountable. His refusal to honor his on actions and decisions is cowardly. In other words, he ran like a scared rabbit with his tail between his legs. It is in my opinion that Snowden is an idiot that deserves what he gets. Any other time, in history, he would have been tracked down and shot for espionage and treason. He will be looked upon within the international community as unreliable and untrustworthy. He is now and forever will be a man without a country. Always looking over his shoulder. Paranoid and scared for the rest of his unnatural life. I spit on him!!! Good grief proud american, you sound like another uneducated, hateful, hillbilly Tea Partier from the South with your stupid rant against Edward Snowden above. Do you honestly like all the backroom deals going on in Washington D.C. and the needless military spending? I don't!!! The person is absolutely correct. If Edward Snowden were a man, had honor or respect, he would realize that everyone is accountable for their actions and the consequences thereof. He should assume his own responsibility but instead chooses to behave and think like an immature coward. He is a hero for exposing government spying on our allies and on the American people. It isn't new but should stop. Nixon, Carter, Reagan, Bush I and II and Clinton all did it. It must stop. Daniel Ellsberg, Ed Snowden, Julian Assange, and Bradley Manning are heroes. Stop the persecution now. You've never seen his resume. If you had, you would see he is a misguided person with few skills and expertise equal that of a below average first semester college student computer science major. Sad ad hominem attack on someone who exposed the police state we have become. It makes no difference if he failed high-school math or had a PhD in Physics, the fact remains: the government has been spying on its own citizens while telling us that they were not. Wrong. He revealed nothing new. Spying is old as "Well I heard". Quite wrong. He revealed nothing new and is nothing better than a bad thief and a liar. And that has exactly what to do with the horrifying information he revealed? Blatant ad hominen is all you government apologists have apparently. You're scared to talk about the actual issues he raises and so only want to talk about him. In his mind and level of intelligence, it seemed clear to be important. But that is all because of his obsession with spying. Remember, he was hold up in his Hong Kong hotel room hiding from cameras. Paranoia and obsession led to his demise. Quite true John, quite true. Yes, these people are true heroes. We need more people like them! Ed Snowden is a hero as is Julian Assange, Daniel Ellsberg, and Bradley Manning. Anyone who exposes government spying and corruption is a HERO. Why is the USA spying on our European allies ? Why is the government spying on American People ? Why is the government spying on any organization or politcal group ? It should not happen. The USA has been doing this since JE Hoover, the Nixon years(enemies hit list), Carter admitted it because of Soviet invasion of Afghanistan, and now the Bush Republican Congress Patriot Act. It must stop now. Free Manning, stop international persecution of both Julian Assange and ed Snowden. They are true American patriots. He has neither. What he did took no brains (have you ever used a USB stick? ), and skipping off to Hong Kong (a place that he visited and like– but he doesn't like mainland China because it's not as much "fun") took no balls. He wanted drama and notoriety and he got it. Most of the info he brought out had already been exposed by the Washington Post in 2010. Snowden, unlike other NSA whistleblowers (do you know how to Google? ), has no moral courage. Wow lesliee and Thomas. Either you a) work for the NSA, b) are high up in the Obuma (yes, spelled correctly) administration, or c) the NSA has pictures of you with sheep. It has taken this man to finally wake up the world, which outside of the sheeple in the USA are awake. However, most US media has decided that they too must have pictures of them with sheep buried in the NSA. Nope to both. No NSA and no to Obama. What you forgot was honesty, integrity, credibility, and honor. All attributes and qualities clearly lacking in this Edward Snowden's character. The sheer amount of Obama / government / military-industrial complex apologists in the comments section makes me sad for the US. Spying on innocent citizens in the name of "security" is something Nazi Germany, or the Soviet bloc would do, not something we would expect from Americans. Thanks, Obama. "Thanks Obama??" Have you been living under a rock? Did you not read about or hear George Bush defending Obama for continuing the program that Bush and Cheney started? What they started, he had the chance to end. And instead he not only continued, but expanded. He made a decision of his own and so he should suffer the consequences for it. Correct. Everyone should hold themselves accountable for the actions, results, and consequences, good or bad, resulting in their decisions. As a good captain will also say, I am responsible for the actions of the men and women under my command. I paraphrase here, but; "He who would give up his liberties for a bit of security deserves neither." At this point Snowden completely faded out from Russian media. I wonder why CNN wants to keep this subject alive. Snowden isn't selling plans for our military hardware, or war plans. He's blowing the whistle on our Governments illegal, behind the scenes activities. I applaud his efforts and hope he spills the beans on everything. The Government has been involved in activities worthy of a firing squad. We still don't really know if Obama is a real American, (I don't think so). It is a shame that Obama did not follow through with his promise of more open government. Debating the NSA activities in a a proper way could have helped our international relationships and limited the damage caused by the NSA over-reaching that occured in the darkness. Oh puhleeze – you're still beating that dead horse about Obama and his birth certificate...UNBELIEVABLE! That's why his handle is "lurch." Reference to idiot character in old TV show. Snowden took this job, with the intent purpose to spy on the USA and then take the information he got and expose it. Even though he, himself took an oath. He did this all under false presence. What does that say about him? He ran to HOng Kong and hid out, like a common criminal. What ever his plan was or is, I feel it back fired and didn't really work out as he planned. I don' view him as any kind of hero. He speaks out of both sides of his mouth and got caught in his own trap. Do I agree with everything our Government says or does, no i do not. Weather he comes back to face the music or finds a country that will take him, he will always be in prison, no matter where he is. Another country will never trust him, ever. They have all heard his story and he has nothing new to give them. He has nothing new to offer them. These countries have more to lose by taking him than to gain. He made his bed! I feel like he took his NSA job as a young man honestly believing that he will serve for the well being his Country. Then later after been exposed to the actuality of his work he discovered that it was not exactly what he expected. I do not see any evidence of the original intent to deliberately take the job just to get access to secrets and sell them to other contries. He admitted he took the job to see what he could uncover. Did he admit it? Did you hear those words come out of his mouth? No he's in a bleeping hole somewhere scared the government is going to get him. Knowing he has to fear for his life. He would not take a job knowing that he would be in hiding forever you idiot. He took the job because he thought it was honest. You wouldn't tame a job to rat out the mob. Then have to hide forever. The government is far scarier than the mob. This man saw something he could no longer hold back. He did what he needed to do. Secondly do you think Ahmed and Abdul talk about plans over the phone and online. No no one is that stupid. So the surveillance is pointless criminals stopped using digital communications years ago. I don't think terrorists are new to the game either. This is blatant communications recovery of citizens and only citizens. It has nothing to do with protecting people. If they cared about people far more money would go into education and disease treatment rather than war, prisons and surveillance. Which is where most of the money goes. He made a statement that he took the job with the sole intent of gathering information on NSA surveillance programs so yes, he lied to Booz Allen Hamilton. Common criminal? The man pointed out an illegal conspiracy in this case from a corrupt government whose members should be imprisoned for their actions. There defense is completely rediculous. I would rather die in a terrorist attack then have my privacy destroyed. Some things are just a bit more important than a life. Then you better imprison Bush and Cheney, because they started the program, and Bush advised Obama to continue it. Right. It's like pointing out the sky is blue, the earth isn't quite round, and remember, bumble bees are also called hole borers. Nothing wrong? Other than taking a job under false pretenses, stealing government and company property. That's a jail term right there. So what everything he is talking about has been public knowledge for years been on youtube and books only thing he did was to verify yes it's true most Americans had their heads in the sand on the subject. Every thing he has said so far was on tv Jessie Ventura Conspiracy Theory big brother episode and in books and youtube videos i have yet to see anything released i already didn't know. 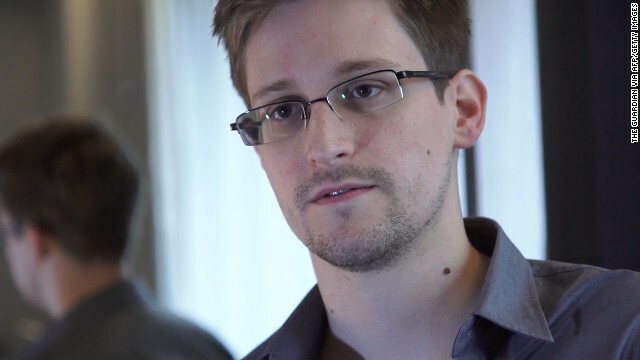 When it comes to moral capital, Snowden has more of it in his little finger than our entire political class combined. Snowden revealed two things. 1) When it comes to moral depravity, Republicans and Democrats, conservatives and liberals, they're all the same, and that's because they all work of the same paymaster - the security industrial complex. 2) Obama is a first class hypocrite. He promised to bring us "change you can believe in," but all we got was Bush III. If we scratch beneath the surface, there's not a scintilla of difference between Cheney and Obama. Snowden's actions have been leading to a healthy debate (re)defining who's a traitor or whistleblower, how much automatic surveillance using wholesale data gathering and mining is too much. The most important point Snowden hinted at, the NSA is on a mission creating a super database on probably every person on the planet, and is increasingly capable merge people data with current phone records and internet activity, and probably other data sources not yet disclosed. Anyone on the grid can be surveilled by combining financial, marketing and communication data. That would make the US goverment the owner and operator of the most powerful and sensitive database, potentially as effective as a well armed military. Imagine, the US could extract private data on foreign leaders and using their vulnerabilities for negotiation purposes. It's somewhat parallel to satellite imaging. In the 1960s and 1970s many heard about satellite surveillance but few saw actual photos, let alone how they were used by intelligence analysts. We kind of knew the NSA was using data mining, but we didn't know our own private data could be easily tapped until Snowden blew the lid off some NSA programs. Most Americans appear to agree with these surveillance methods believing they're only being used to hunt terrorists. That's like saying we're only enriching uranium for peaceful purposes. Unfortunately, once the genie is out of the bottle we won't be able to put it back. That means data based government surveillance has only just begun and we're far away from understanding how much can be accomplished by using it, except for people like Snowden. They have a pretty good idea. ??? You are talking about a person who struggled to get his GED, hardly ever completes anything he starts, lied to get his job with Booz Allen Hamilton, worked at NSA with the sole intent of putting his nose where it didn't belong, stole government and company property, admitted to lying and theft of government property, does not even have an entry level knowledge of Information Technology, claims to be part of the Russian Federation on his linkedin account, claims skill and expertise using Instagram, and wants to know if someone can collect unemployment compensation remotely. So, do you really believe a single alphabet character of anything he says? Or rather, do you believe he is a non achiever with an obsession with spying so great it has deluded his thought processes, has affected him to the point of severe addiction which cost him his career and any chance of a similar career, income, loss of retirement benefits, his girl friend, his credit rating, basically every chance of a normal life as a US citizen. So once again, do you really believe a single character of the alphabet spewed by such a person or would you recommend not asylum in a country, but IN an asylum in a country? To be so stupid and incompetent, Snowden sure did a great job of showing the world what a cabal of first class hypocrites and pathological liars our political class is. I wish I were so fortunate to be so stupid and incompetent. Wrong. Snowden the Obsessed Snake revealed nothing new. That's why there is no reward for this "villian". Okay, Thomas, I am confused. Are you talking about the integrity and honest of Obama and all the other politicians in DC or somebody else? As to believing the information, so far, leaked by Snowden? Sure I believe it. Nobody has even denied it. The politicians, more accurately, this administration has only offered up excuses and more clearly the argument that after spending billions of dollars collecting this data, we just don't do anything with it! The administrations lackeys then try to convince us that the spying has resulted in preventing 12 terrorist attacks, yet somehow missed the Boston Marathon bombing attacks that had clues all over the internet. In fact, we even received warnings from the Russians about the terrorists, yet did nothing about it. Not even knowing when those same "warned of terrorists" returned to our country. Perhaps if those terrorists would have been labeled "tea party terrorists", "patriots" or some other descriptor for conservatives more effort would have been paid to hampering their efforts and goals? All my information is completely accurate. Snowden didn't turn on any lights in a dark room. AKA, nothing new. He's still a nobody with attention. I do not read tabloids. The Guardian is also a tabloid. And I was a security specialist in the USAF so I speak with experience and knowledge. AND three, the reality of the situation is the facts. #1. The NSA and other government agencies should NEVER outsource IT jobs to contractors. That's where this mess started to begin with. 2#. Snowdens statements and actions compared with the reality of his situation are completely unbelievable. For example, he studied at a local community college, not earning credits towards a college degree, but to get his GED. In his next list of education, he has it that he is enrolled in a Master of Computer Applications (M.C.A) with the University of Liverpool. Now assuming SAT scores are not required, would anybody still let him in? Fact is, according to the University of Liverpool, he did enroll online. So the list of lies go on and on and on. Truly signs of an obsessed person who actually believes what he/she says or does. Just like an addiction. The NSA spying programs have nothing to do with terrorists. Terrorists are not the purpose of these programs. These programs are designed and implemented for one purpose and one purpose only: the control and manipulation of the American people. It's a simple miscalculation by Snowden. We spy on Russia with their knowledge and provide them with terrorist information on a regular basis. A polite agreement. I am sure we do for others. The public doesn't need to know how cozy we are with cold war dudes. The enemy of my enemy is my friend. So it goes. "...We spy on Russia with their knowledge and provide them with terrorist information on a regular basis...." – that is a pile of crap! You do not provide any terrorist information to Russia, you support terrorists inside Russia like you do it in Syria! You wage an inside war against Russia with USAID instigating and financing whatever dissent you are able to find: including terrorist organisations! Your government has proven more than once that it will not stop at supporting any kind of religious or political extremists if that fits their agenda! I think everyone brings valid arguments to the forum, and I applaud everyone for standing up for what they believe is right- regardless of their viewpoint. I surely don't consider Snowden a hero, but I'm not certain he's a traitor either. It depends on what he stands to gain, and for now, all he's gained is world-wide publicity. He's on the losing end of everything else. My concern about surveillance is this: each new provision or Act tends to serve as a stepping stone to the next level. For now, I don't see my privacy as being violated. If Uncle Sam wants to monitor my activities and conversations, they'd find them so boring they'd beg for a new assignment. However, I think we'd be wise to look to the not-so-distant future, and realize what current surveillance could lead to. Is there a need for secrecy with respect to surveillance? Yes. Is there a need to begin gathering information on all of us? No. Where Obama when wrong, I believe, was during his first campaign, pledging to repeal the Patriot Act. Considering he wasn't in the Oval Office and privy to all that was happening, it was a commitment he shouldn't have made. He had limited info, and spoke very prematurely. We need surveillance, but it needs to be tailored to real threats – not just random data gathering. The next level would be to monitor all phone calls between US citizens. The line would clearly be crossed at that point, and I think we need to do all we can to prevent it. Then, if that happens, it wouldn't be long before secret search warrants were issued against citizens doing nothing wrong. So on and so forth. As some point there needs to be a limit, and as it stands for the moment, that limit is getting pushed almost daily. Snowden is a whistleblower. This would have never been exposed any other way. Our government constantly lies to us and if we challenge them we are labeled as traitors or terrorists. Every government in history has eventually turned against their citizens. Think more... Follow less... The truth is out there! You would have to have been living under a rock for the last decade to not know that the government has been engaging in data mining. Snowden crossed a huge line when he gave away foreign intelligence gathering secrets to the Chinese and others. Snowden isn't a whistle blower, he's a traitor. I think he started possibly as a whistleblower and agree that some of what was being done needed to come to light. Gathering and storing data on US citizens in the way that's being said was done is a gross violation of Intelligence Oversight. However, I think he either liked the publicity or wanted to strike back at the establishment when he started releasing details of foreign collection. At that point, if not a traitor, he at least became a felonious criminal. Look up "NSA whistleblowers," idiot, and you'll find that Snowden is no whistleblower, he's a traitor. Snowden & Manning have done more damage to the Shadow Govt/NWO Cabal than any group of voters ever could. This article is a smoke screen to divert attention from our loss of privacy to some "terrorist" threat that is all but non existent. The recent 777 crash showed that flying is actually safer than riding an escalator. The terror threat is like sitting in a wheelchair next to an out of service escalator wearing a helmet, gloves, and goggles. We are being dumbed down to keep us in line, working for the government and those who control it. What privacy did you actually lose? And how did this affect your life? What we lost was the right to privacy. @Steve: if you don't have something constructive and factual to state, stay out of the conversation. There is enough ignorance going around. There are various viewpoints on this subject matter and none are more right than the other. To make the statement that you did suggests that your viewpoint in support of Snowden/anti-government is correct. You have no proof that it has hurt anyone nor that it hasn't done its job effectively. I could argue that Snowden is puppeting you by making you think that the government is far worse than it is. It's a matter of perspective. And as an honorably discharged combat veteran who has also spent time in the intelligence community, my perspective is most certainly a little more enlightened than your own I assure you. "And as an honorably discharged combat veteran who has also spent time in the intelligence community, my perspective is most certainly a little more enlightened than your own I assure you." Yea ok mr. arrogant. Ooo looky me, I have a bachelor's degree at a university. I am more intelligent than some army guy. How dumb I just sounded is how dumb you sound. I don't feel that way about all vets, just you. OK, so the point is, we have lost our privacy as already stated. It's not about a tangible effect on our life at this point, it's the potential of what they will do with the information. If it's not important as you say, why do they need it on every average Joe? If you care nothing about your right to privacy if you can't show evidence of it harming your life, then please explain why you would care if the government installed video cameras in your home and a monitoring chip in every newborn? That doesn't hurt anyone right?....so must be just fine and dandy.Unless you're OK with every aspect of your life being monitored, your argument is moot. And if you do hold this opinion, then you are definitely not in the majority. Snowden the Obsessed Snake "exposed" or "revealed" nothing new, and "we" didn't loose our privacy. Nothing he has done has changed anything. Spying on each other is something that occurs in not only mankind, but the animal world as well. If spying did not exist, neither would the words in any language "rumor" and "gossip" exist either. As far as privacy goes, technology has in fact increased privacy in many ways. Email encryption, secure online transactions, not to mention sheer volume. Remember, how many people can pick out a voice in a crowd of talking people? How many people does it take to monitor 20 million phone calls and text messages per day? If you really believe Snowden the Exposed Snake's claims, you must be a true faithful follower of people like Jim and Tammy Baker. cwiz, here is a better question. What privacy did we not lose? Can you clearly and definitively tell us? No, I didn't think so. Because if these acts weren't attacks on our privacy, they would have been made public by the government to the citizens of this country. Does anybody really think for a second that the terrorists were unaware of these activities, or at the very minimum strongly suspected their communications were being targeted by our government? Of course they knew it. The only people on the planet that have been affected by this that were not aware of the government actions were the citizens of the US. Terrorists knew these activities were going on. Foreign governments knew they were being spied upon. The Chinese, Russians, Cubans, Middle Eastern countries, North Korea, Pakistan, etc. . . all knew they were being spied upon by the US. Everybody but the targeted mass of the American citizens knew spying was going on against them. What exactly did you loose and what were you doing when the Patriotic Act was passed? How are you affected by the surveillance? my house was searched at gun point. my life was threatened. I was audited by the irs. @keith: if your story is true, I guarantee there was a reason for it. If you don't feel there was a legitimate reason for it, I'd love for you to show me the public record of your complaint against the city. Mary, I work for the government. We're installing cameras in every american's home. You're first on the list. I'm sure glad you don't mind, because it won't "harm" you! You won't even realize we're doing it. So sick of this stupid argument. This is the kind of thinking they want us to have. "Losing my right to privacy is for my own good, because it protects me from terrorists. Who cares about the spying, it doesn't affect me." If our government really cared about protecting us from 'death' why isn't health care free? Why can corporations get away with false advertising food products that cause significant health issues that can ultimately lead to death? Why are they allowing our air to get so polluted? Why is there so much poverty which translates to more crime which can translate to more harm and more deaths? There's more prisons than schools in this country. No other place on Earth has it like that. Studies show links between education and crime. If we spent more resources to improve education the amount of incarcerated people would go down freeing up more tax payer money to be used in other more positively beneficial areas. If the masses were smarter that would be a problem for the government though. Smarter people are harder to control because they are more likely to think for themselves and not take the fear-bait. When the masses are kept dumb, poor, and afraid – the government is winning and "we" are losing. Not even Nazi Germany had more prisons than schools. Get your facts straight. The chance that any of these leaks will spoil relations between the U.S. and it's subservient European "allies" are all but nonexistent! Has anyone here noticed how these crony "allies" carry out every order from Washington D.C. with nothing but blind obedience? Moreover, any so-called "damages" caused by any of these leaks will be quite minimal!!! You are right: all that shock and rage is only for show. In fact, everybody with a half brain knew US government was spying on all its citizens and allies before Snowden came out of his basement to share that great "secret" with the world. Everybody knew that US was the "Evil Empire" except for brainwashed Americans! Please note, I am not saying all the Americans are brainwashed: only the majority. Those Americans who are capable of independent thinking knew "the great dark secret" before Snowden! Who really thinks that China, Russia or any other country does not do the same things, except there they will make you disappear and nobody will know what happened to you. If you take an oath to secrecy then stick to it or quit. I do: China and Russia simply do not have the capability that US government has, and can not afford to waste so much resource and money to track each and every citizen! So they have to limit spying to much narrower circle: to the people they believe may be up to something or be of interest in some way. It sort of makes sense, doesn't it! Snowden could well had been a national hero in America if he'd used his talents to help America protect its classified interests instead of exposing them..When will ignorents on these and other sites see Snowden as he really is a delushional traitor ,a legend in his own mind and when he gets welcomed in another country it'll only be they want his talents for espionage elsewhere,now being in Venezuela..Boy could you see if Hugo Chavez would do with Snowden against us if he was alive!! Your comment is good. You forget Snowden lacks basic intelligence, like a Pakled. He cannot come up with his own ideas, so he resorts to stealing. Since in the future, he will not be able to get away with that, he is useless. I agree. I think that Snowden has/had been used by Wikileaks and this idiot thought that everyone would hail him as hero. Even if fled to S.America, life will not be easy for him. Straight up! Other NSA whistleblowers have revealed privacy issues in the past 10 years, and programs have gone away because of it. They, however, didn't play the story for all the drama and notoriety they could get out of it, which is all that Snowden has. They are now enjoying happy retirements–in the U.S. I'm sick of this photo! Really... don't they have another photo.. If this so-called "hero" was so smart, how come he didn't factor in having the State Dept revoke his passport so he couldn't globe-trot ?? Seriously makes one wonder who put him up to this charade and how much he's being paid to ruin his life. I find it hard to believe that any 29-yr old working in the intelligence arena is that idealistic and naive. I think he hs/had been used by Assange to raise more money for Wikileaks. The real answer is he isn't that smart. Check out his linkedin account. The guy had to struggle just to get his GED. So you think 29 is old lol? Perfect age to be idealistic and naive. Barack seems to think he's young with his clearly intentional swipe at "a 29 year old hacker." That comment is when I lost all respect for this POTUS, the man I voted for and once believed in. So greatest government allows some internal "hacker" to get away with our most dire secrets to sell to international community. Now when your brokerage firm allows some 29 year old employee of theirs to steal everyone's account information, do you blame the hacker or the company/CEO? Or both? I think we all agree both is the answer. Why isn't our government taking any heat on this? He could have SOLD that info to any number of countries and become incredibly wealthy, but released it to the press FOR FREE. Your theory of financial motivation is flat out wrong.